Tourist destinations in Indonesia is very diverse. The country has a number of large islands, and tens of thousands of small islands are beautiful. Each island in Indonesia has the uniqueness and specialness of each. Of many islands amazing found in indonesia following our favourite destination some always crowded by foreign tourists. Bali was favorite tourist destinations in the country.You can find natural beauty, the unique culture, friendliness local people, wisdom local--a wealth architecture, luxuriousness, a variety of attraction draws and challenge as well as food and a place shopping fun. Bali is a tourist destination with an amazing attraction which has been recognized by the international world. You can vacation to Bali with very easy, wherever you are. You can search on the internet various program Bali tour packages. Java island is the most densely populated area with a population in Indonesia. Many large cities and modern embedded in Java. of the many cities that have dipulau, you can visit some of your favorite holiday destinations such as; Jakarta, Yogayakarta, Bromo, Pangandaran, Bandung, Solo and Surabaya. The beach, Lombok and Komodo dragons are 3 things are identical from the island. Read the full review of Komodo, Lombok, and various tourist attractions in the nusa tenggara Islands. The island of Sumatra has several flagship tourist destinations such as Lake Toba, Belitung, and Padang, West Sumatra. For the compassionate Sumatran orangutans, tours usually also offer vacation orangutans. Borneo island is very popular with foreign tourists diklangan 3 things; Borneo, orangutan and dayak. You can read our other reviews about these 3 things. Orangutan tours is the main magnet of the traveler for the holidays to Borneo. But among local tourists, Derawan also began to become a lively start destinations visited. 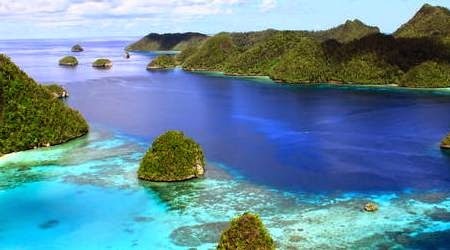 Indonesia tourist destinations the most hot for the lovers of nature under the sea is the Raja Ampat Islands in Papua. Kepulaun raja ampat marine beauty does have a very amazing. If you love the underwater activities such as snorkling and diving, then you have to visit the Raja Ampat. The final destination which is also not less beautiful in Indonesia's Sulawesi island. This Dipulau travellers usually visit the best attractions such as Bunaken and Tana Toraja. Although Indonesia's top tourist destinations are on separate islands, you can still visit these places quite easily. The current range of sara good transport, land, sea, and air is already well connected between the Islands. But, if Your vacation time is not too long, you can choose one of the tourist destinations which we have mentioned above. 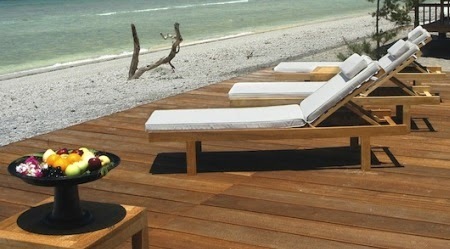 Note, in addition to various islands and favorite tourist spots on top of many other exciting destinations in Indonesia. So, when do you plan to vacation in Indonesia?.